Note: This event is sold out. Please stay tuned for info about future events. Event is free to attend. 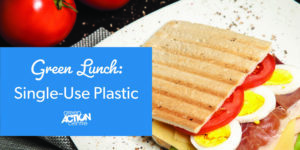 Attendees are invited to bring their own lunch or pay $10 to partake in the “Plastic Package Free Lunch” we will be serving (sandwiches and veggies). Gluten free, dairy free, and vegan options available. Following the screening of the video, we will have a brief collaborative discussion about ways in which we can decrease (or even eliminate) single-use plastics from our grocery shopping experience. Questions? Email bethany@greenactioncentre.ca or call 204-925-3777 ext. 109. Interested in watching the video but not able to attend? Click here.